Violist/Violinist Brooke Carroll was a full-scholarship Graduate Performance Diploma student at the Longy School of Music, where she studied with violist Roger Tapping, and graduated with Distinction. Brooke earned her Bachelor of Music in Viola Performance at the Biola Conservatory of Music, in California. For all four years of her undergraduate studies, she was a member of the Biola Honors String Quartet, with whom she toured to Canada, was featured at a Presidential Library’s Family Concert Series, and was a finalist at the esteemed Coleman Chamber Music Competition. Brooke was also awarded the 2007 Presser Undergraduate Scholar Award, given to one outstanding music major at the Conservatory each year. In 2008, she won the Biola Concerto Competition, and was featured performing Bohuslav Martinu’s Rhapsody Concerto with the orchestra. Brooke has attended a number of summer music festivals including the Montecito Summer Music Festival, Schlern International Music Festival, the Stamford International Music Festival, the Texas Music Festival, the Hot Springs Music Festival, and the National Music Festival. Whilst living in Brookings, South Dakota, she served as Master Teacher at the South Dakota University String Project, where she was responsible for conducting group classes and training college students in the art of teaching string instruments. At the same time, she played section viola in the Sioux City Symphony, was a frequent sub with the South Dakota Symphony, and had a large private studio. 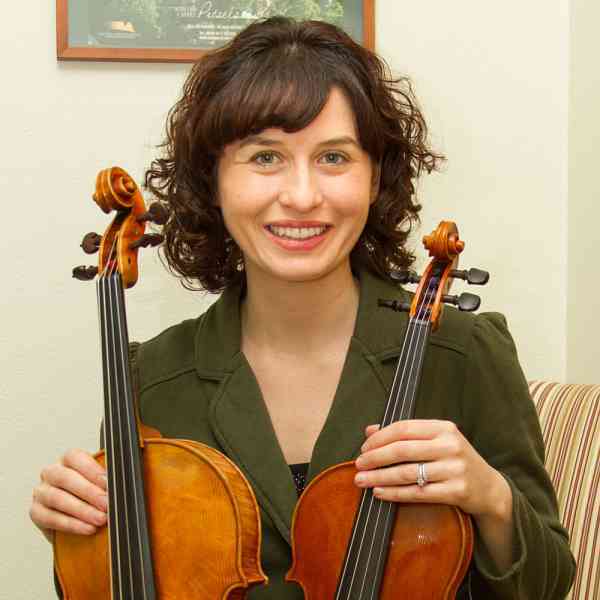 Most recently, Brooke lived in Jamestown, North Dakota, where she was an adjunct instructor of violin and an adjunct lecturer of strings at the University of Jamestown. Brooke currently freelances in the Vancouver/Portland area and has a private violin and viola studio. Her studio is currently full.